The M1911A1 could be sold through the Civilian Marksmanship Program, if everything goes smoothly. Photo Wiki Commons. An amendment to the National Defense Authorization Act has the potential to send military arms aficionados into the stratosphere. That is because it could make one of the U.S. Army’s most venerated side arms available to the civilian market. An add-on to the NDAA by Rep. Mike Rogers, R-Alabama, would transfer the remaining stock of the U.S. Army’s M1911A1 pistols to the Civilian Marksmanship Program to sell. And as a positive step in that direction, the legislation has move from the House Arms Service Committee and is due for debate on the house floor this month. “As a gun owner and strong believer in the Second Amendment, my proposal is a common-sense approach to eliminating an unnecessary cost to the Federal government while allowing the very capable CMP to handle the sale of these vintage firearms that otherwise would just sit in storage. This amendment is a win – win for the taxpayer. I was pleased the amendment passed the committee and appreciate the support my colleagues on this proposal,” Rogers said in a press release. There were no hard numbers on how many pistols would become available through the CMP. However, a press release by Rep. Steve Russell, R-Oklahoma, discussing the potential cost savings to the Federal Government in selling the .45 ACP handguns gives a rough estimate that it is somewhere around 100,000. “… [A]t a cost of roughly $2.00 per pistol per year to store these weapons, we were spending $200,000 a year in perpetuity. This sensible change will save the taxpayers millions over the years to come, as well as aid a great organization that serves the public,” he said in the release. If passed into law, Rogers’ amendment would authorize the CMP to sell any surplus military firearms. Presently the Federally chartered non-profit corporation is limited to selling .30 caliber and .22 rimfire rifles. 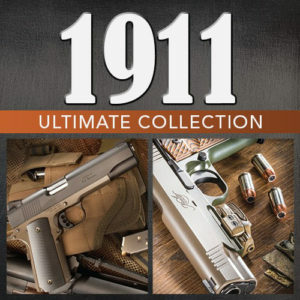 While the move is a positive for gun collectors, it could take some time to own a surplus 1911. Mark Johnson, CMP COO, estimated in an article on AL.com it will be two years before the non-profit receives any of the pistols, that is if the bill passes. The historic pistols would be an intriguing addition to the CMP’s catalog, but there are still hurdles that need to be crossed. In recent years, the non-profit has had difficulty just procuring its bread-and-butter stock. President Obama’s administration has continually blocked the importation of Korean-war era M1 Garands and M1 Carbines from South Korea. The M1911A1 is a slightly modified version of John M. Browning original M1911 and came into being in the 1920s. The variation served until replaced in 1985 by the Beretta M9. Though, the .45 ACP pistol has found its way back to the battlefield in recent years. According to Rogers’ press release, some 8,300 M1911A1s have been sold from the stock to law enforcement or transferred to foreign countries. I do not think this could ever happen under the current administration. One must also remember that many years ago when the decision was made to adopt the 9mm caliber that an inventory was done on 1911 pistols. Most had been rebuilt at least 4 times and most had cracked frames. Of course the Director of Civilian Marksmanship would make sure this fact never got out to the public but if it does the anti-gunners would have afield day screaming they are unsafe to be sold. Another problem with these guns was that they were made with un-heat treated slides and they were soft and do not last long when doing a lot of shooting with them. They would best be kept as safe queen collectors items. I do not think they would be sold at reasonable prices either considering how scarce they have become on the collectors market.